Most companies recognize the benefits of moving workloads to the cloud, but are only willing to play if the price is right. Otherwise, cost remains a primary barrier to entry for organizations on the fence about cloud adoption – and with good reason. If not properly managed, cloud spend can quietly stack up. 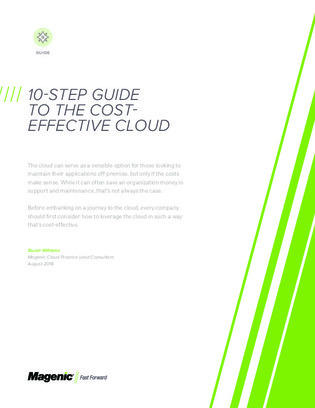 In this guide, learn the ten preparation steps your organization should use to ensure you’re leveraging the cloud in the most cost-effective manner, while still getting the most bang-for-your-buck.